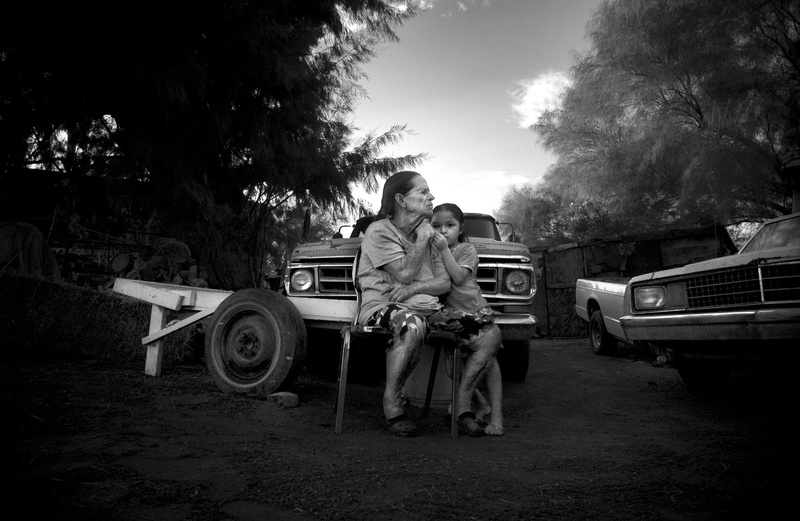 (Ejido Hermosillo, Sonora, Mexico - 08.25.2007) -- The wife of a small landowner sits with her granddaughter outside of their home near the border town of San Luis Rio Colorado, Mexico, on Saturday, August 25, 2007. The Rio Colorado lies less than one mile from this family’s home. Due to heavy use by the US, the mighty river crosses into Mexico as little more than a large cement-lined drainage ditch used to irrigate northern Sonora’s farmland.